KX have launched a new online shop, and asked us to create a concept for their new range of health products as an extension to the KX brand. 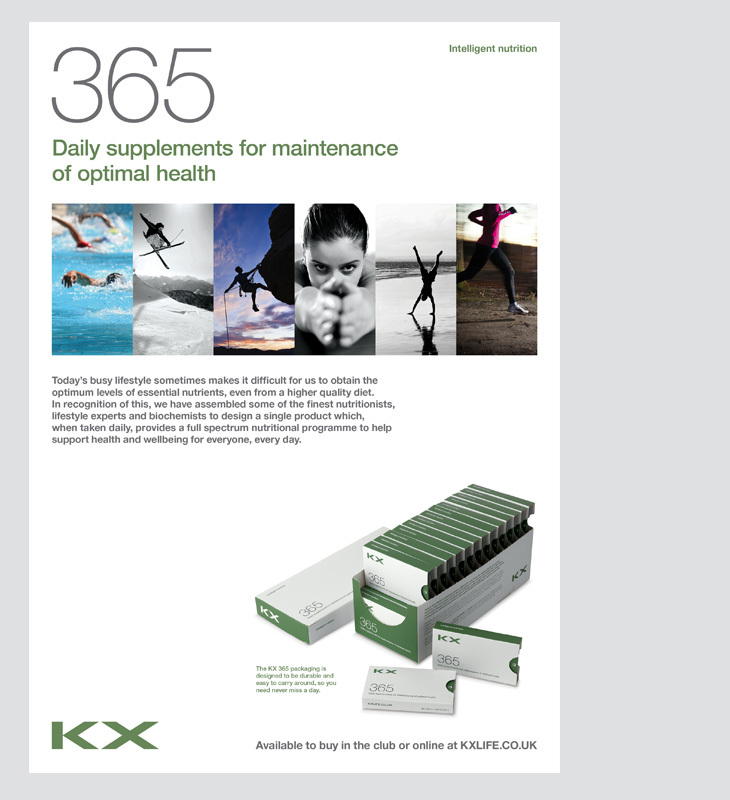 The first product, KX365, is a daily supplement that maintains optimal health. The primary requirement for this product was to create a handy pack, one that is easy to carry around, whilst considering the overall packaging of a full month’s supply. H&B have done a great job in delivering all the creative for our new product line of daily health supplements. 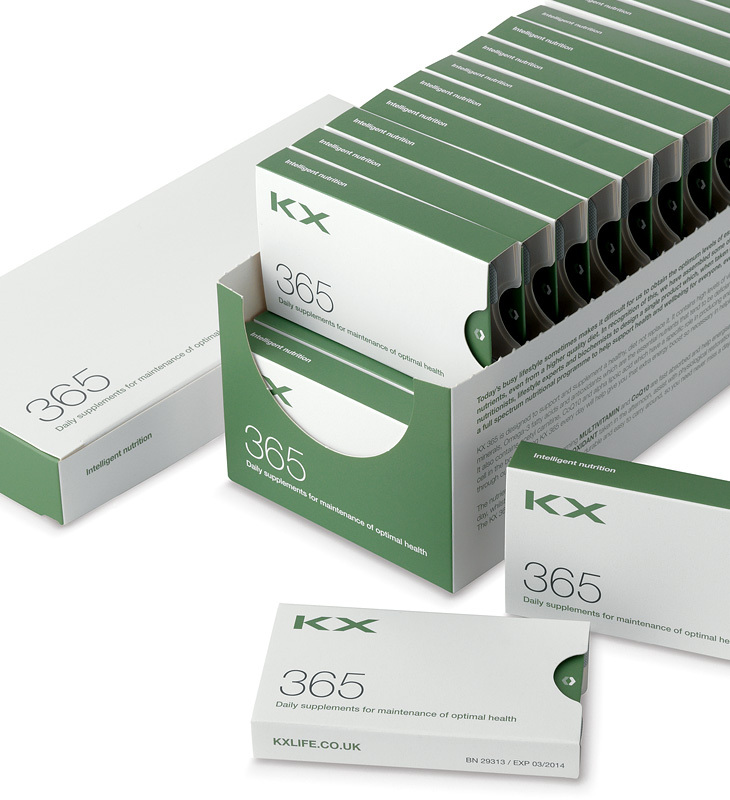 The packaging and promotional materials sit perfectly within the overall KX brand and every detail has been covered. Our conceptual work has involved the naming, positioning and rationale of how a range of new products can fit into the overall KX brand architecture. We designed and sourced an innovative slider pack solution, produced by Burgopak, which is durable and easy to carry around, so customers need never miss a day. Extending KX’s brand offering to their members and beyond, through producing tailor-made health supplements and also creating new revenue channels for this high-end luxury brand. Individual daily slider packs that are innovative, durable and convenient to carry around. 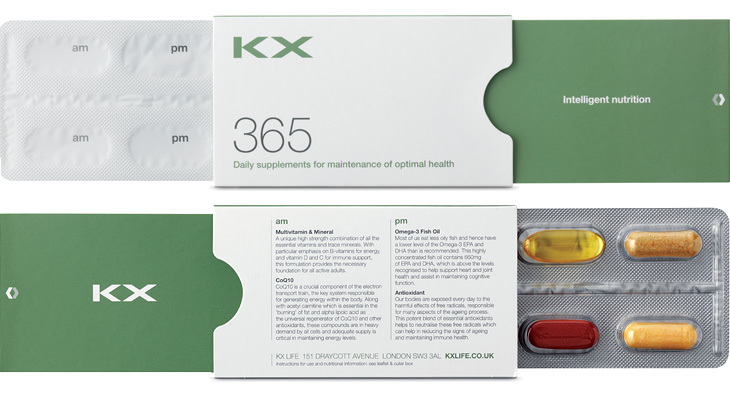 The name speaks for itself, simple and self-explanatory, whilst the clean packaging design reinforces both the KX brand and the health properties of the product. Each slider pack contains four tablets, two each for the morning and afternoon. Burgopak’s patented slider pack ensures the product is never separated from its packaging.